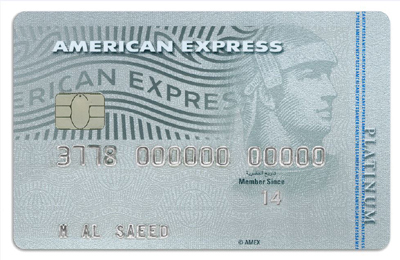 American Express (Amex) Middle East, a leading credit cards provider for the region, has launched the new American Express Platinum Credit Card - a Dirham denominated credit card, offering UAE travellers market leading rewards. The American Express Platinum Credit Card provides access to the award-winning Membership Rewards programme, a leading rewards programme in the UAE offering a wide range of travel redemption opportunities. The card offers a highly competitive points earn rate enabling cardmembers to earn 1 mile for every US dollar spent. These points can be redeemed for flights with frequent flyer programmes from twelve leading international and regional airlines, including Emirates Skywards, Etihad Guest and BA Avios. Whilst travelling, cardmembers can benefit from complimentary access to 700 VIP airport lounges around the world. Cardmembers can earn Membership Rewards points on all their purchases, regardless of where they spend or what they buy. They can also redeem their Membership Rewards points across a range of categories beyond travel, including retail, hospitality and entertainment. “Unlike many other cards, we offer cardmembers the opportunity to gain more from their travel experiences with the flexibility to earn the same number of points regardless of where they spend. They can also benefit from a wide choice of redemption options and the convenience of denomination in Dirhams,” said Usman Arif, vice president and country head of UAE, American Express Middle East.